Research, scholarship and creative activities are high-impact educational practices that improve student retention, provide skills that employers value, encourage development of skills that facilitate lifelong learning and increase adaptability. Encourage students in your classes to consider doing independent study, honors theses or summer projects in your discipline. Know enough about what your colleagues are doing so that you can direct students to appropriate mentors. Maintain a brief statement about the scholarship you pursue and how you involve students. Have this statement on the web accessible through your department’s website (examples: chemistry faculty list; chemistry research page; nursing research office; history student opportunities). Involve students in scholarly and creative projects in your discipline. Send students from your courses to the Celebration of Scholarship event with an assignment to increase awareness of research opportunities on campus. Encourage your students to consider submitting to Oshkosh Scholar. If you need funds to pursue a project with a student, consider external and internal sources such as those discussed in the Find Funding section. Do not forget that you can ask for student assistants as part of Faculty Development proposals. Consider attending a workshop on mentoring Undergraduate Scholarly and Creative Activities (URSCA) in your field. CUR and WiSCUR sponsor some of these. Many of these workshops require sending a team. OSRCA can help you put together a team and can sometimes help with the costs of attending. Watch for notices about workshop opportunities on the campus announcement lists. 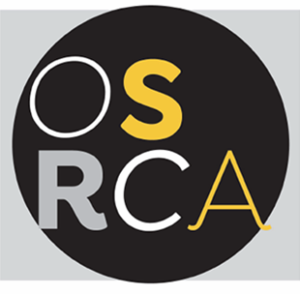 If you have questions or need advice, do not hesitate to contact someone in OSRCA or a member of the University committee that oversees OSRCA programs. Information sources: CUR Quarterly; CUR How To Series; Other CUR Publications (some may be available from OSRCA as short term loans); OSRCA related bibliographies.